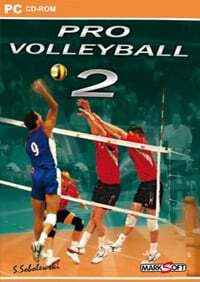 Pro Volleyball 2 is a dynamic sports game, which is a simulation of volleyball games. The players can lead one of the 20 national teams and take part in exciting friendly matches and matches of the World League and the European League. The title was produced by S.
Volleyball simulator, one of the most popular Polish sports. In Pro Volleyball 2 players have the opportunity to direct the actions of one of the top 20 national teams (including, of course, Poland) and compete for the most valuable volleyball trophies. The creators envisaged several options of fun, including the possibility of playing a single match or taking part in the European League and World League games. There were also options for online struggle via the Internet. Matches are played according to the rules of this sport. Players use a variety of tactical variants, varied gameplay, kiwki, attacks and blocks. Audiences and reserve benches react spontaneously to the situation on the pitch. Animations of players' and referees' movement were prepared with the use of motion-capture technology. Game score 8.0 / 10 calculated out of 50 players' votes.